← Where are our Local Farmer’s Markets? 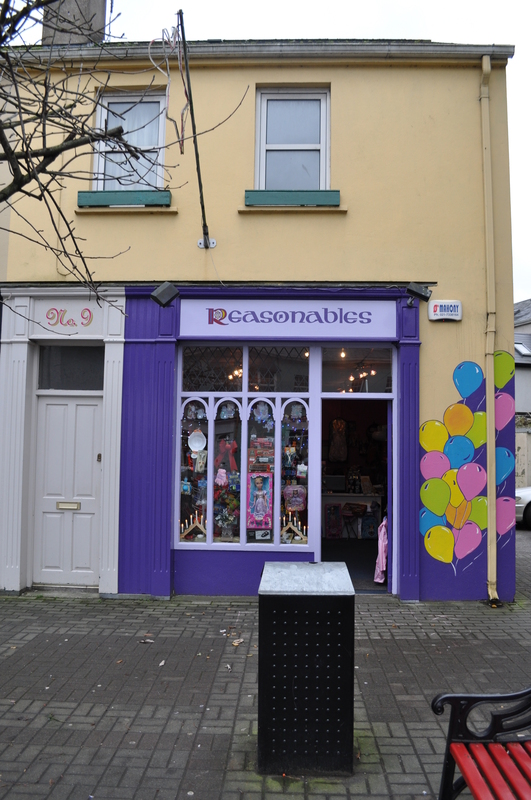 Reasonables....it's all about the name. Kinsale, the town of just over 2,200 people is the first Transition Town in Ireland. A community-based group, supported by Kinsale town council looks to manage local resources and find sustainable solutions to the challenges of peak oil and climate change. Public meetings are held on the third Thursday of every month. They take a number of guides from an energy plan, which has led to the creation of Transition Towns worldwide, even as far-reaching as Canada. I first heard of Transition Towns from my friend Emanuele, at the time a member of the Emerging Leaders Committee of cCEDnet. She had spoken of Guelph, Canada as one of the transition towns that is looking at environmental and social issues, and aims to limit the dependency on oil. We can transition to a future beyond fossil fuels, one that is more vibrant and resilient; ultimately one that is preferable to the present. Our current Provincial Government stresses that we must wean ourselves from our over dependency on oil. These revenues may be filling the public purse in the short-term; however, we need longer term strategies. The government wishes to create Hydro-electricity from the Muskrat Falls project and displace Bunker C oil burned to create electricity from the Holyrood Generating Station. The Town of St. Anthony is exploring wind energy as a means to become more competitive to attract industry and lower energy costs. Community gardens have become an initiative of transition towns. Food security has always been an issue for residents of Newfoundland & Labrador. My grandparents generation practised sustainable living, by growing their own produce and raising farm animals. We are experiencing a trend in rural regions, where more people are exploring gardening. The concept of a community garden would help address food security issues. We should produce and grow more locally. The community-groups are accomplishing their goals by inspiring, encouraging and supporting others to transition the community. Rural areas are no exception. Let’s ensure that 2011 is the year you garden, grow more local and work with others to create a community garden. This is a very reasonable suggestion to ensure brighter futures for the Great Northern Peninsula. Posted on March 29, 2011, in Business and tagged canada, Community gardening, environment, Kinsale, Muskrat Falls, Peak oil, The Transition Handbook: From Oil Dependency to Local Resilience (Transition Guides), Transition Town. Bookmark the permalink. 5 Comments.